United Shipping, Inc is pleased to announce that Trans World Shipping located in Tunisia is a new member of our premiere global network. 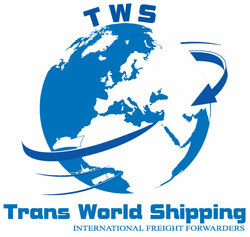 Trans World Shipping was founded in 2009 by Sami Ben Chalbi. For more than 4 years it has been one of the leaders in the Tunisian transportation field. Trans World is a freight forwarder, shipping agent, forwarder broker, land haulage company, and multi-modal door-to-door solutions provider. Trans World has always given full satisfaction to their partners, principals, and customers all over the world. Thanks to a great capacity to adapt, Trans World has always been able to meet the needs of the Tunisian and International Economic developments. Trans World Shipping is a young worldwide freight forwarder that specilaizes in groupage and containerised shipping services to and from various destinations around the world. “As a young and dynamic company, we aim to provide a service that goes beyond just selling of space. With its central location in Sousse Port Tunsia, TWS is in a perfect position to spot a potential problem and solve it before it becomes the customer’s problem. The handling of all types of tall and heavy equipment, container and LCL cargoes, are our specialty areas. We can offer you the best possible option for your cargo and provide excellent shipping opportunities,” states Sami Ben Chalbi, Founder and General Manager, Trans World Shipping.